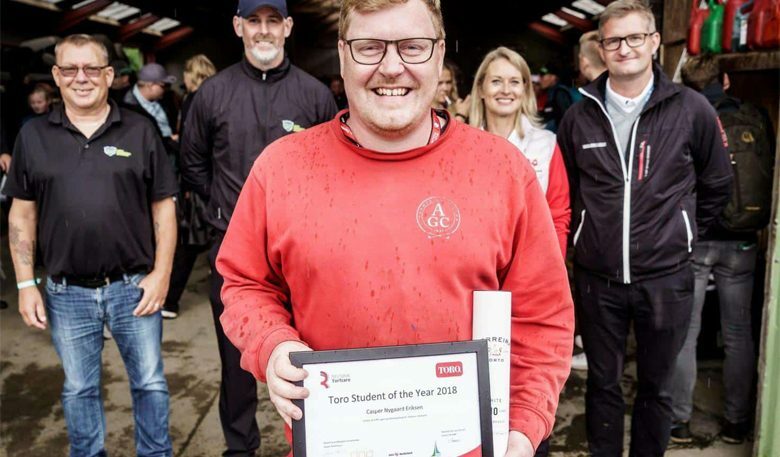 I was so fortunate to be selected as the 2018 Toro Student of the Year, Denmark. 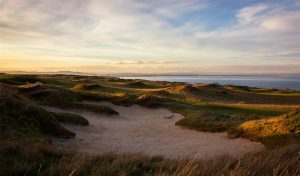 The reward was four weeks working alongside the greenkeeping staff at St Andrews Links. 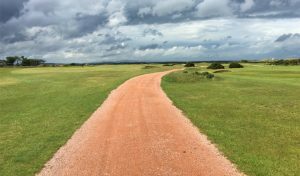 My excitement grew as I travelled to St Andrews wondering what the whole experience would bring. I really wanted to know if the guys would share their secrets about how they get the job done. I was, after all, travelling there to learn as much as possible! My first five days fell during the Alfred Dunhill Links Championship. I was on the fairway team the leader of which, and a few others, had been at the Links for some 30 years! These guys work under regular pressure and perform at the highest level every day with complete calm and trust in what they’re doing. They projected this positive attitude onto me whilst offering hints and tips on how best to manage that type of working environment. During tournament week, we replaced divots all over the course from late afternoon and into the evening. The 2-3 hours it took gave me the opportunity to connect with the team, something I felt was very important to me. The following week was dedicated to tackling different aspects of course maintenance on the world-famous Old Course. Grass growth was slow that week so we weren’t as busy as we could’ve been. I took the extra time to learn from the guys understanding why things were done in a certain way. No matter the task, they always took their time to complete it to the highest standard. 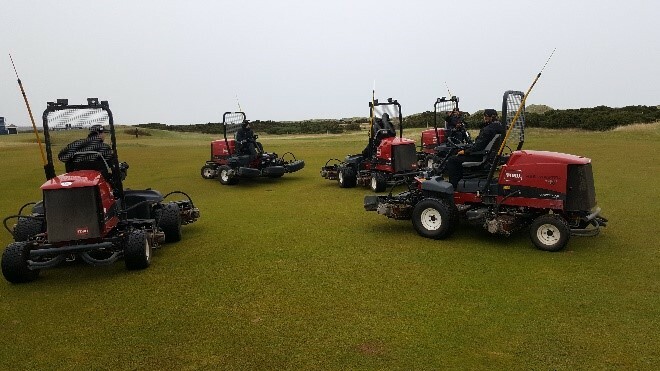 One of the things I was a little surprised by was the greenkeepers controlled and adjusted the machinery when needed – and they use a wide variety! Impressive given that in Denmark, the machines are all controlled and checked by a mechanic. I also had the opportunity to work alongside some of the course managers to observe and witness their passion for the job. That really was a privilege and huge inspiration for me. 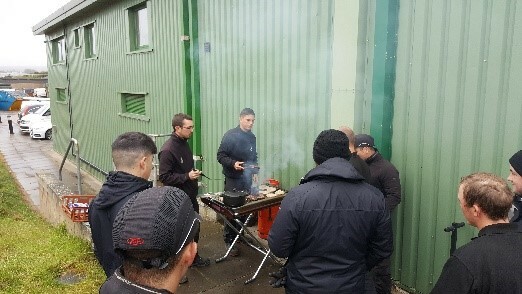 The third week I assisted the teams on the New and Jubilee courses. I worked with 3-4 guys on rebuilding some of the bunkers. In Denmark, we don’t build bunkers the way it’s done on links courses. We shape the ground on the bunker edges and lay down the turf to follow the ground. 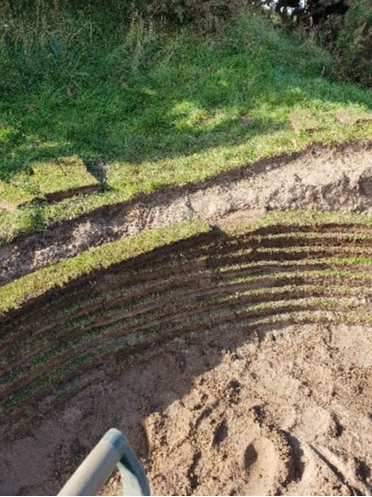 In doing this we avoid the steep ‘walls’ the revetted bunkers can create. Given the contrast in building technique, it was great to learn such a different method. The guys did a perfect job in explaining how to do it and it was a hands on approach which for me is the best way to learn! Before I left Denmark, I did hear the Links do an awesome job with bunkers but you’ve got to see it to believe it! 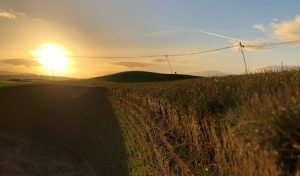 My final week I was part of the greenkeeping team at The Castle Course. This is located just south of the town and is different in style to the other six Links courses particularly as it’s located on a cliff-top. I got to do morning teeing ground setup followed by aerating, topdressing and hand-seeding some weak approach areas. During the week, Jon Wood, the course manager, gave me the grand tour explaining how he runs things. I learned a great deal from him on what it takes to manage a course like the Castle and the importance of tending to the small details every day. Both personally and professionally, I really learned a lot during my time at St Andrews Links and I will never forget my experience there. I can’t thank everyone I worked with enough, it really was a great pleasure and an inspiration to work with such an inspiring team. 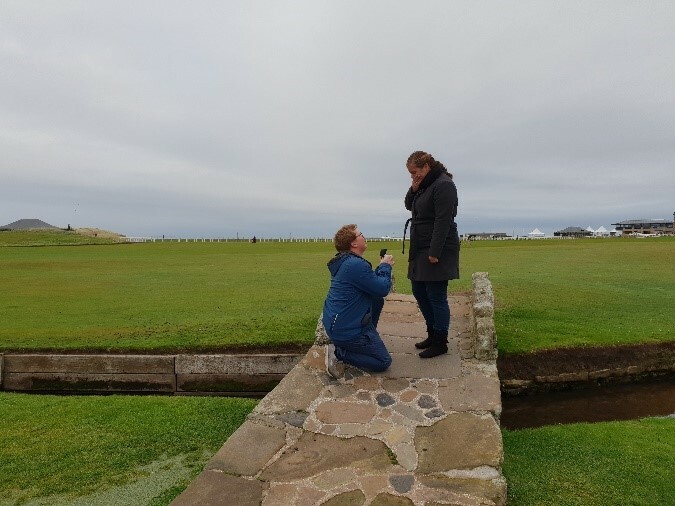 Oh, and whilst I was there, my girlfriend said yes!